More people are now taking to the roads by bike as a form of transport, and with this, especially throughout the winter months comes the issue of visibility. Good lights are a must, but there also good ranges of clothing products available to help you be seen on the roads. 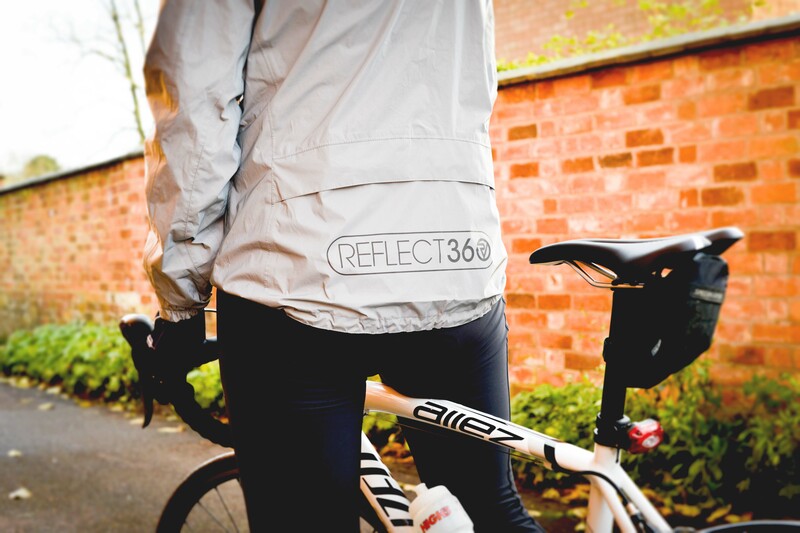 The product we are reviewing is the Proviz Reflect 360 women’s cycling jacket which retails at £74.99. On first appearance the jacket is a light grey colour. It’s a comfortable fit, which is slightly on the larger side, the jacket worn in the images is a size 14. This would allow for additional layering for the commuting cyclist, rather than be a close fitting jacket to reduce drag. Its lined with a mesh cotton, and feels warm and even on the freezing cold day I tested this product felt windproof. It’s also waterproof, with very carefully finished seams to prevent any rain creeping in on the wet days. The zips also feel of good quality too. The jacket has a long back, as well as several pockets to allow lots of room to store items you carry with you on the bike. The waist and cuffs are also adjustable for comfort and additional water proofing. You can tell that thought has gone into this product to make it as highly functioning as possible. There are lots I really like about this product, but the main selling feature above anything else is most definitely the way that it lights up under light. It goes from the light grey colour in normal day light, to a glowing white under light, therefore making you very visible. Under a drivers headlights you stand the best chances of being seen on the roads. It was surprising just how reflective this jacket was. I have to say, I’m there are very few negative points for this product. I was really impressed with how well it worked and if you’re a commuter on the roads I would recommend this as an excellent addition to your cycling wardrobe. The size could be a little more fitted, but possibly this could be a selling feature to allow you to layer up more for your winter commute. Also available in the Proviz Reflect 360 range is their backpack cover, one of which we will soon be running a pre Christmas giveaway on our Facebook page. Follow us and wait for more details on how you could win. 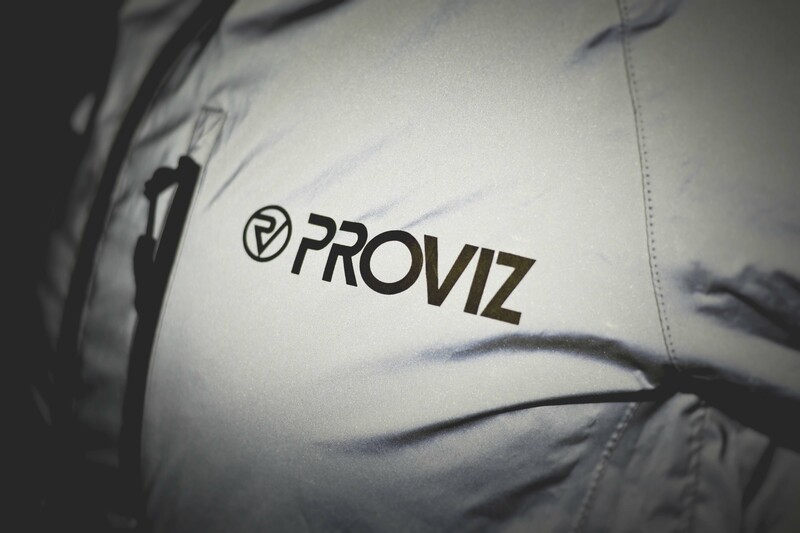 The full Proviz range can be seen on the Proviz website.